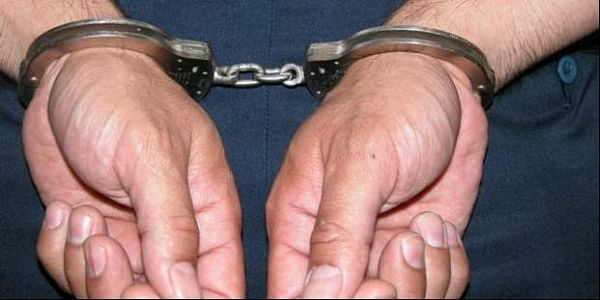 Crime Branch officials arrested Ajmeri Abdul Rashid, one of the accused in the 2002 Gandhinagar Akshardham Temple terror attack case, from near the airport. AHMEDABAD: Crime Branch officials here on early Saturday arrested Ajmeri Abdul Rashid, one of the accused in the 2002 Gandhinagar Akshardham Temple terror attack case, from near the airport. Rashid, one of the 28 absconding accused in the case, had returned from Saudi Arabia and was picked by the Crime Branch sleuths from near the airport. The sensational attack on the temple complex in Gujarat's capital Gandhinagar had claimed 32 lives, including 28 visitors. The attackers had used automatic weapons and hand grenades. Three commandos, including one from NSG, and a constable of the State Reserve Police (SRP) were also killed during the operation. Rashid's brother Adam Ajmeri, along with two others, was awarded capital punishment but it was struck down by the Supreme Court and all three were acquitted in 2014. Three other convicts, one of them carrying a life sentence, were also let off by the apex court. The other absconders are claimed to be in Pakistan and Gulf countries.